TODAY IS THE DAY will take their venomous and visionary brew of metal back to the God-fearing citizens of the North American plate again this week, as the second leg of the massive North American inundation supporting Weedeater begins tonight. The new tour begins in Columbia, South Carolina, with seventeen additional cities to fall before the trek comes to a finale in Richmond, Virginia on May 27th. 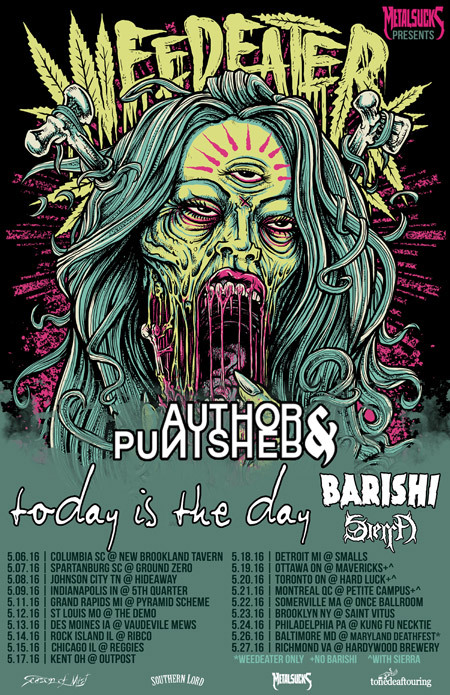 TODAY IS THE DAY and Author & Punisher are providing support for the mighty Weedeater for the entire trek, with Barishi providing opening support on the US shows and Sierra opening the Canadian shows. 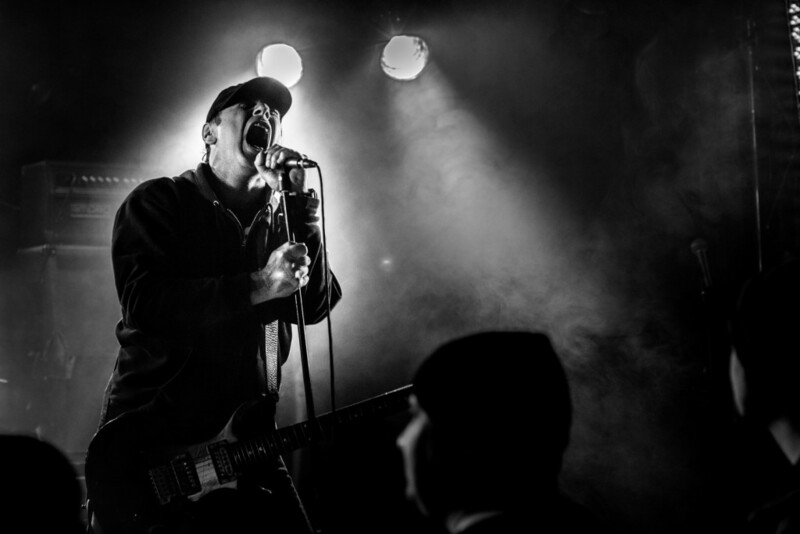 The current incarnation of the feral TODAY IS THE DAY sees founding frontman Steve Austin flanked by bassist Trevor Thomas and drummer Douglas Andrae. The band has been touring relentlessly since the release of their tenth studio full-length Animal Mother – recorded at the cult leader’s own Austin Enterprises and released in the second half of 2014 through Southern Lord — taking to the road for long North American tours with Lazer/Wulf, Abigail Williams, and more, and a European tour with Grime, before embarking on the current massive two-phase North American run. View TODAY IS THE DAY’s “Animal Mother” video RIGHT HERE, the “Heathen” video HERE, and the “Masada” video HERE. Animal Mother is available from Southern Lord digitally HERE and on CD and LP HERE, and via the band HERE.